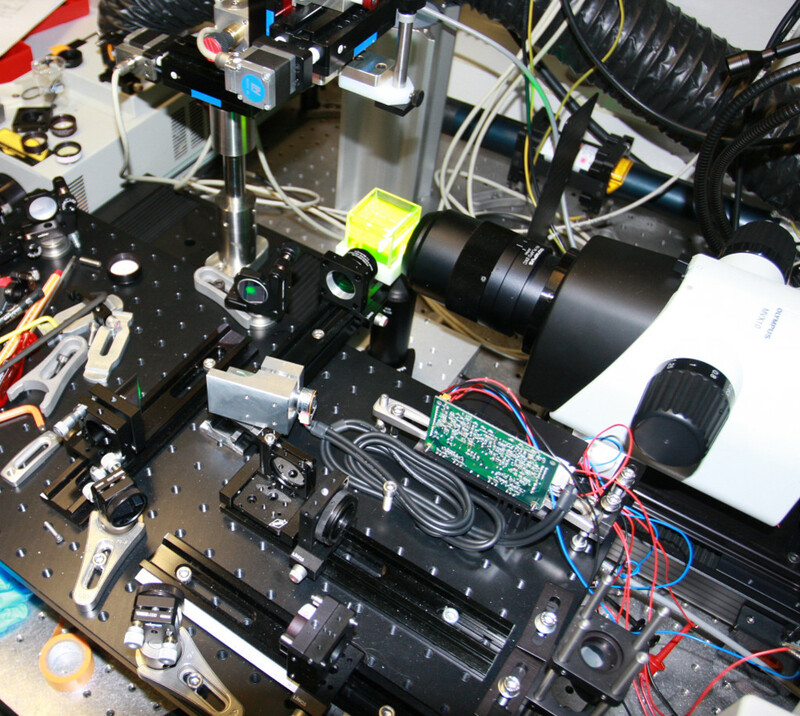 The mesoSPIM project started as a tiny side project for Fabian Voigt when the lab of Adriano Aguzzi (Neuropathology, University Hospital Zurich) approached Fritjof Helmchen (Laboratory of Neural Circuit Dynamics, Brain Research Institute, Zurich) with a request for help in the selection of a light-sheet microscope for CLARITY-cleared mouse brains. Initial tests with a LaVision Ultramicroscope I revealed that the field-of-view was good, but sample exchange and imaging quality were lacking with such samples. 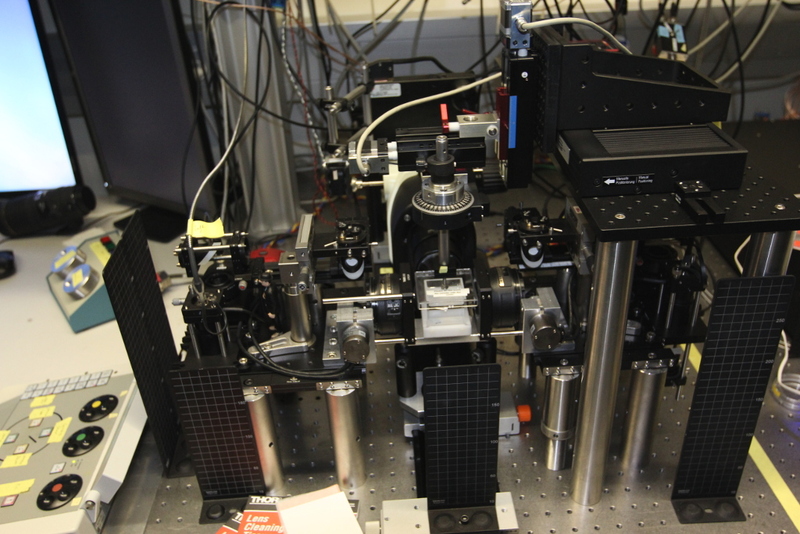 Somehow, we came up with the idea to set up a "classical" SPIM with a horizontal detection arm. 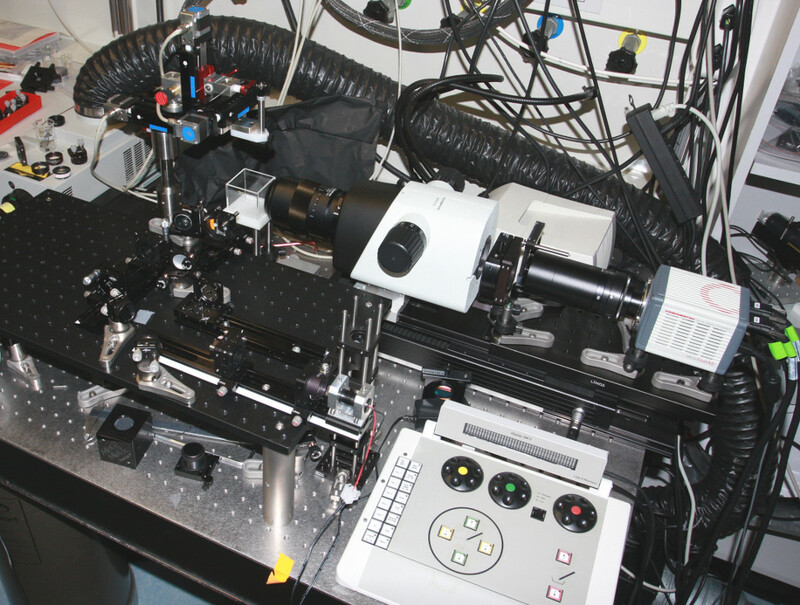 This mesoSPIM version was the first one to be copied to a different institution: In July 2017, a second mesoSPIM V3 was set up in the Aguzzi lab in the University Hospital Zurich. From mid-2017 on, mesoSPIM development turned from a side-project into a full-time project. 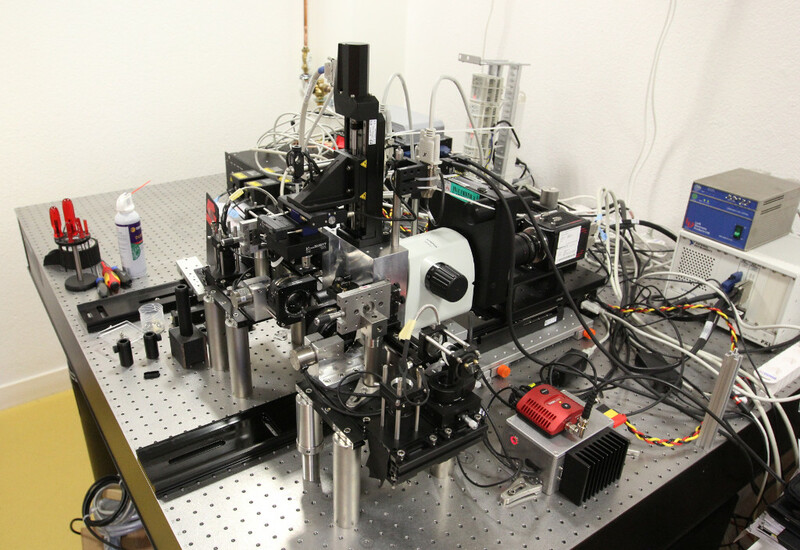 In late 2017, the Wyss Center Geneva decided to build a mesoSPIM to augment its existing COLM instrument for low-magnification overview scans of cleared samples. 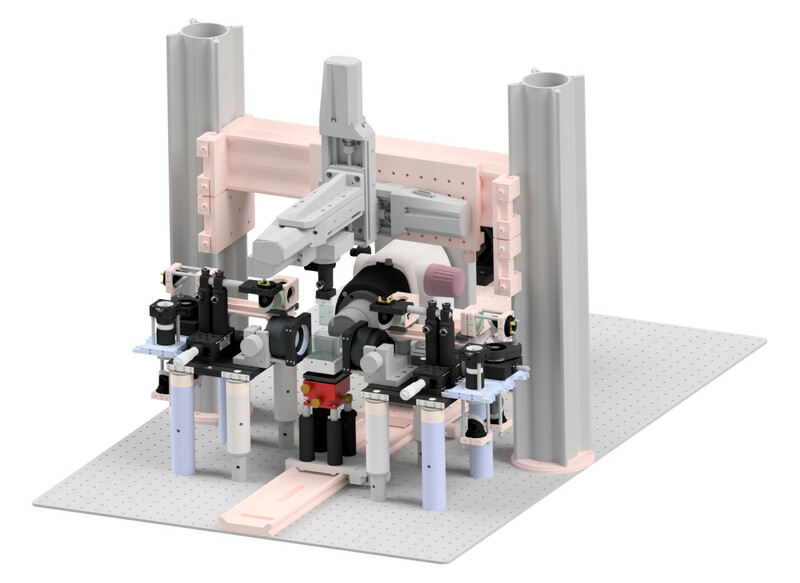 We took this opportunity to unify the mechanical stages (at this point, both existing mesoSPIMs contained stages from 3 different manufacturers - Luigs & Neumann, Steinmayer Mechatronik and Thorlabs) by adopting the COLM stages from Physik Instrumente (PI). 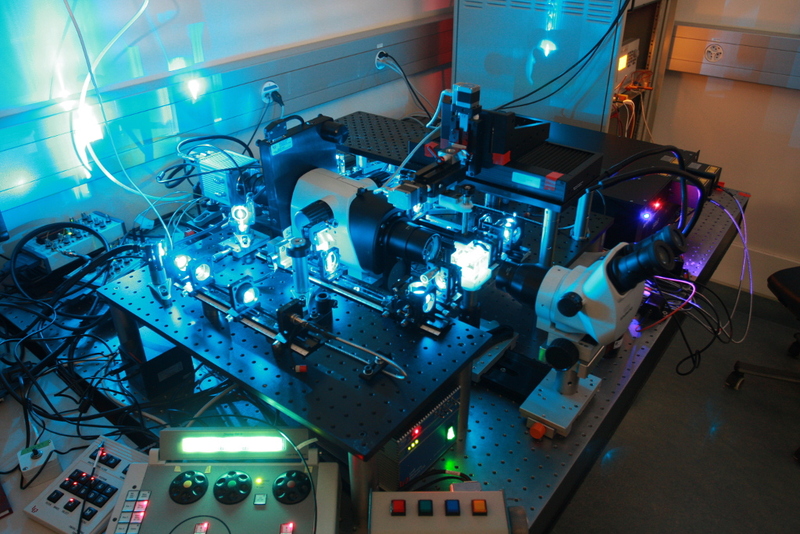 At the same time, the software (up to this point a combination of Labview, Micromanager, and HCImage) was unified in mesoSPIM-control, a Python-based light-sheet software. The first mesoSPIM V4 saw first light in March 2018 in Geneva. The other existing mesoSPIM V3 (HIFO & USZ) were upgraded to this configuration in May 2018. The USZ mesoSPIM after the upgrade to Version 4 in May 2018. Several mesoSPIM V4 suffer from mechanical artifacts in z-stacks due to the z-stage exhibiting large rolling motion (due to manufacturing tolerances). Therefore, the mesoSPIM V5 was designed to incorporate better stages. In addition, by mounting the stages on a gantry build from X95 aluminium extrusions, the stage configuration is easier to modify and less custom parts have to be made. Currently (Early 2019), the first two mesoSPIM V5 are under construction.